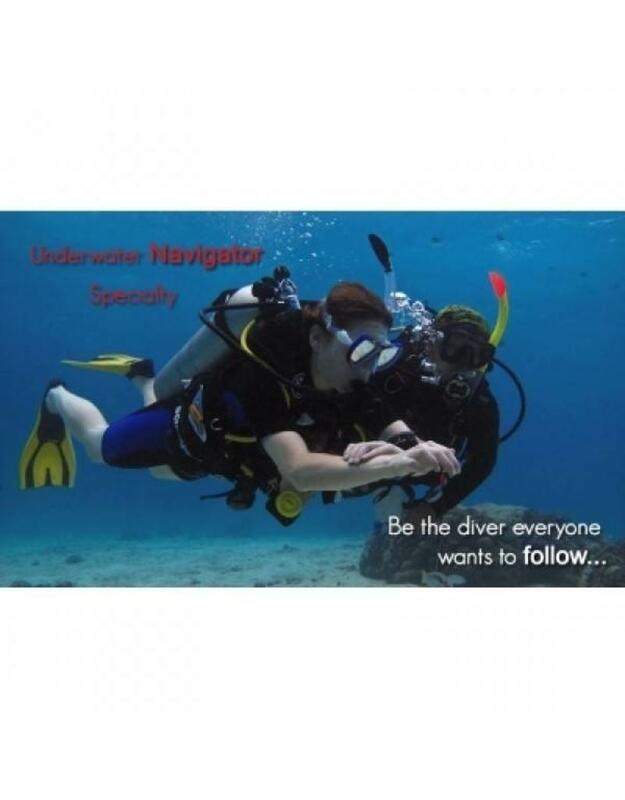 During your Open Water Diver course you have already learned how to handle the compass. In the Navigation specialty we will learn you better and navigate in more different ways. In 3 dives you will be familiarized with all the possibilities of your compass and with navigation based on natural characteristics. At the end of the course you can perfectly navigate squares and triangles and find your way back to your starting point. Be the diver that is followed by everyone and let your sense of direction take on legendary forms with the specialty course PADI Underwater Navigator. Finding your way is not a matter of happiness! When divers glide over a reef or watch a wreck, they have a lot of fun - until it's time to go back. Then they turn to you, because you, PADI Underwater Navigator, know the way to the boat. PADI Specialty books and license application: Displayed price includes lesson requirements and license application, PADI does not have all courses of books and / or visual material available in your language, in that case the theory will be handled classically Your instructor will be happy to tell you more about it. If applicable, the theory applies that we assume that you control this by means of self-study and demonstrate this by handing in the answered questions of which the missed questions are treated during a theory session with or without examples! Did you know that as a PADI diver you can also follow an SSI specialty? You earn the license by mastering all skills according to the PADI standards. The PADI Specialty Under water navigator can be followed at our diving school in Vinkeveen and Almere 7 days a week between 09:00 and 23:00 h. Call or email us directly to record your date or book directly online and we will contact you. to make an appointment when it suits you! Diving equipment: During the PADI Specialty Under water navigator course you use Your own diving equipment or You can rent the necessary diving equipment with us!